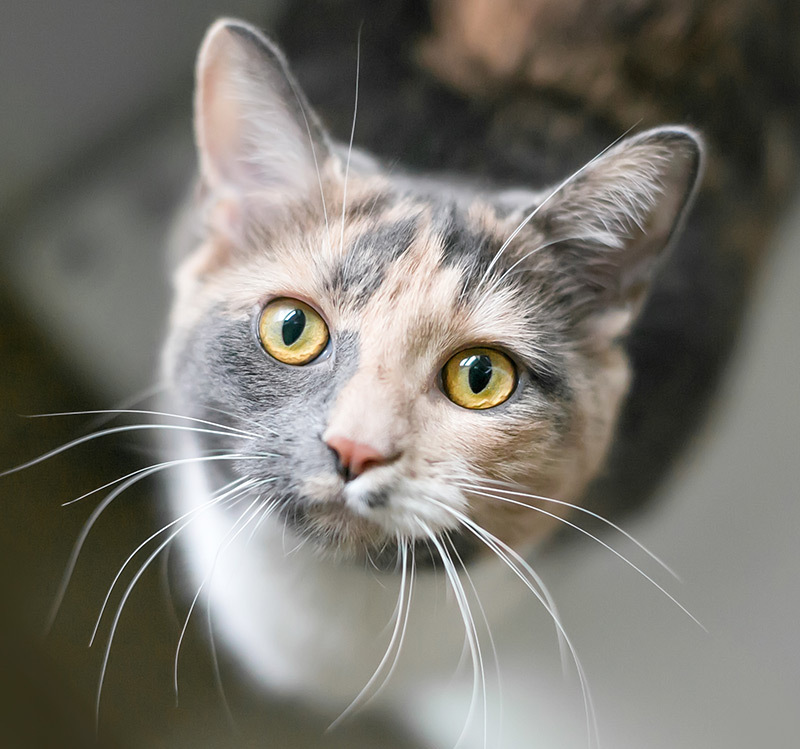 Adoption: FAQ About Your Newly Adopted Pet’s Health This is a list of answers to frequently asked questions about your newly adopted pet’s health. 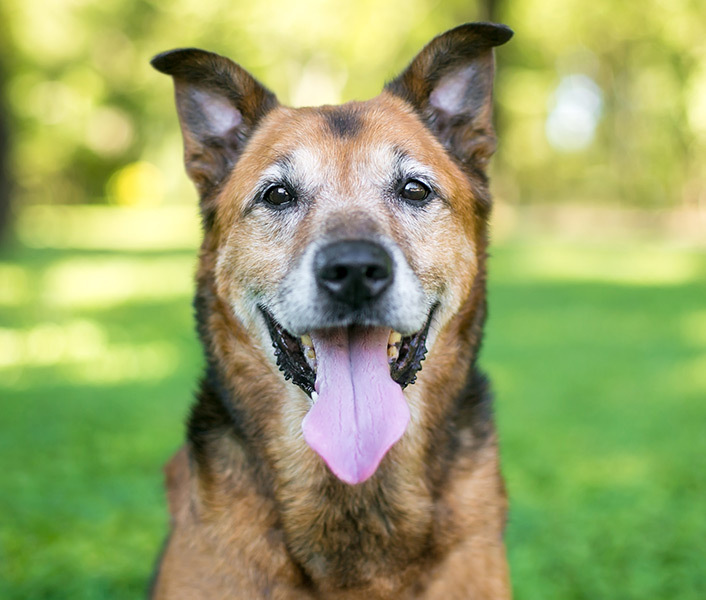 Aging: How to Help Your Geriatric Pet Learn how to help your pet in his golden years with this advice from our veterinary health care team. Dentistry: Oral Home Care One of the most significant things you can do to take control of your pet’s health is to provide good oral home care. Dogs: DNA Testing for Dogs Are you curious about your mixed-breed canine companion? This article explains what you can learn from Canine DNA testing. Dogs: Heartworm Disease and Prevention Heartworm is a serious parasite transmitted between dogs by mosquitoes. Learn the signs of this life-threatening diease and what you can do to protect your pet. Fear Free: Signs of Fear, Anxiety and Stress in Cats This helpful chart animates the spectrum of Fear, Anxiety and Stress in cats. 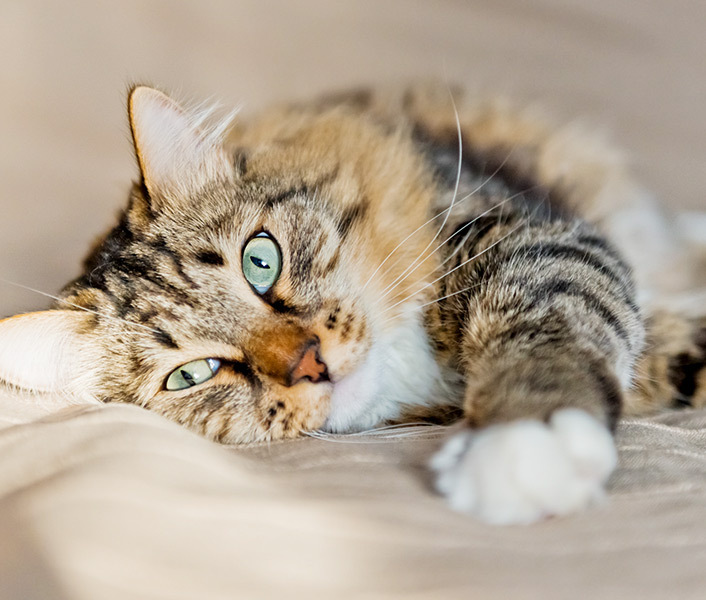 Learn the body language and signs your cat is sending! By understanding these signs, you can avoid uncomfortable situations, and have a happier, healthier cat! Fear Free: Signs of Fear, Anxiety and Stress in Dogs This helpful chart animates the spectrum of Fear, Anxiety and Stress in dogs. Learn the body language and signs your dog is sending! By understanding these signs, you can avoid uncomfortable situations, and have a happier, healthier dog! Fear Free: Why Fear Free Veterinary Visits are Different Ten things that make Fear Free Veterinary Visits different. What do we mean when we say that a veterinary visit is Fear Free? Here are 10 ways we help your pet stay comfortable and relaxed from arrival to departure. Fear Free: Stress Free Method to Give Your Pet a Pill A Fear Free approach to pill administration for your pet! 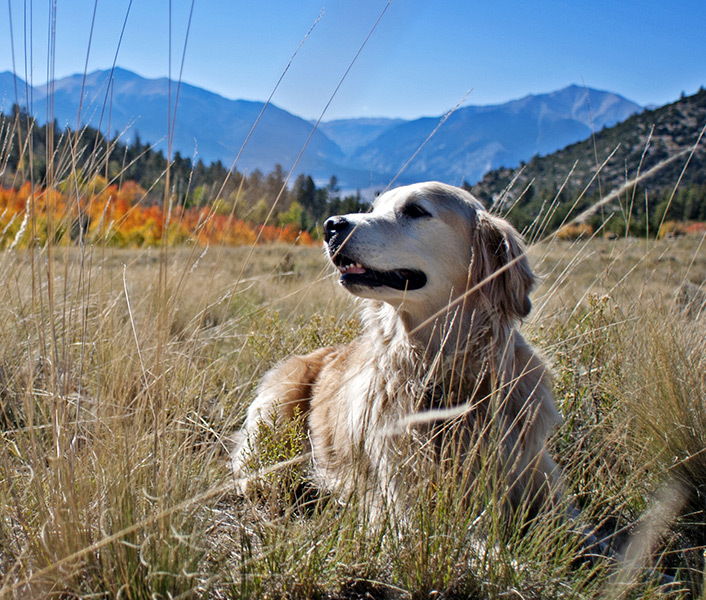 Frequently Asked Questions This is a list of answers to frequently asked questions about the Humane Society of Boulder Valley’s Veterinary Clinic and your pet’s visit to the vet. Insurance: Choosing a Pet Insurance Plan Even if your pet is healthy, accidents and illnesses can happen suddenly. Pet insurance can help you focus on your pet’s recovery — rather than the medical bill. But there are many options, and choosing the right coverage for your companion is not as simple as one might think. Cost, coverage, and choices are all over the map. Here are some things to know when navigating pet insurance options. Lifetime of Wellness Our veterinary team is here to help keep your pets healthy. The most important step you can take to help your new pet live a long healthy life is to provide regular preventive medical care. Marijuana and Your Pet Marijuana can be toxic to pets. Recent legislation may mean that marijuana, and products containing THC, more common in households, so steps should be taken to protect your pet from accidental ingestion. Obesity in Pets Obesity is a serious problem for our companion pets, and this serious health problem is reaching epidemic proportions. About 54% of pets are either overweight or obese. Can you tell if your pooch is pudgy or you’ve got a fat cat? Rabies Brochure Download our complimentary full-color brochure: Rabies: Protecting You and Your Pets. This pamphlet outlines FAQs concerning rabies in Colorado. Rabies on the Rise: Video The Colorado Department of Public Health and Environment wants to alert citizens about the risks of rabies from skunks and bats. Safety Tips: Pet Proof Your Home Pets will sometimes eat the most baffling things. Learn how to recognize the signs that your pet has ingested a foreign object and how to pet proof your home. Safety Tips: Poisonous Plants Plants and cut flowers are a welcome addition to any home. Unfortunately, not all plants are safe for our ever curious pets. Safety Tips: Cold Weather Care In the winter months your furry or feathered companions may also be feeling the chill. In addition to being vulnerable to the cold weather, many wintertime household products can be harmful to pets. Safety Tips: Hot Cars Are Deadly It only takes minutes…We understand you meant to be kind by taking your dog with you, but you could be risking his or her life. Safety Tips: Hot Weather We all love spending the long, sunny days of summer outdoors with our furry companions, but being overeager in hot weather can spell danger. Take these simple precautions, provided by ASPCA experts, to help prevent your pet from overheating. Saying Goodbye: Pet Loss Support Losing a pet is never easy, but being surrounded by people who understand your grief can help. This is a list of Boulder-area at-home euthanasia services and support groups. Saying Goodbye: When Your Pet Dies Perhaps the kindest thing you can do for an animal that is terminally ill, aged, or so severely injured that he will never lead a normal life is to induce his or her death quietly and humanely through euthanasia. Your decision concerning euthanasia is a personal one, but it need not be a solitary one. Spanish: La Visita del Gato a la Clínica Veterinaria En Español: Una guía para reducir el estrés del gato y del propietario en la visita al veterinario. 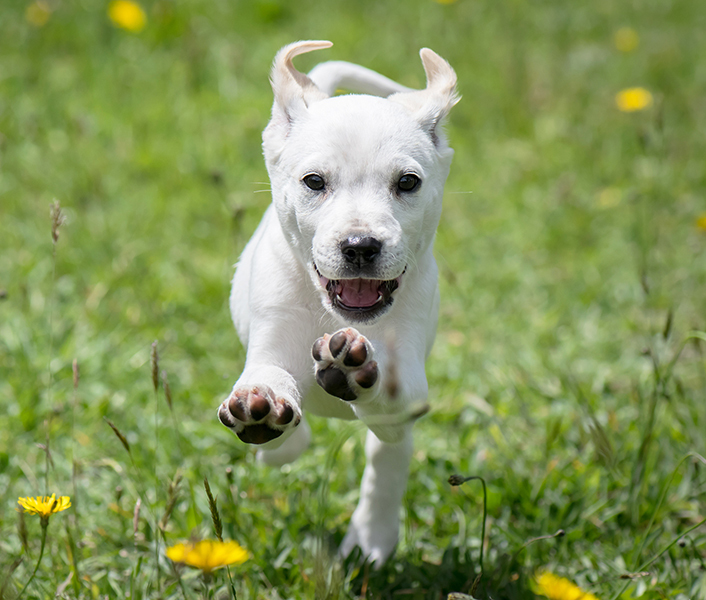 Vaccinations: Leptospirosis Important information about leptospirosis disease and how you can protect your dog and yourself. Vaccinations: Rabies What is rabies and why are rabies vaccinations so crucially important to pet health and public safety? Vaccinations: Recommendations for your Pet General vaccine recommendations for dogs and cats. A pet’s general good health can be ensured by routine vaccinations, regular check-ups by a veterinarian and by avoiding exposure to animals infected by common diseases. This handout outlines recommended vaccination schedules and follow-up appointments.